Was just about to post this. I remember him playing, Liverpool through and through, a hard but fair footballer. Football took its toll on his physical health and latterly Ibelieve he was diagnosed with Alzheimer’s. A real gentleman when you had the pleasure to meet him, taken too soon. RIP Tommy, deepest sympathies to all his family and friends. Another true legend gone, let’s give him the send off he deserves on Sunday! YNWA. A shock .... but it comes to us all. A pleasure to see him play ... a real hard man of the game ....but always fair. After the Olympics we on the Kop adopted a saying ..
Tommy Smith Red Power ! The goal that even Roy of the Rovers wanted to be Tommy Smith. Very sad news, will always be a legend, always remember the quote, "If you can't get the man, go for the ball". Condolences to all of his family and friends. RIP. Very sad news, fully agree with the above post. Great Liverpool player who gave his all for the club. RIP respect and regards to family,friends. Legend of a player and servant. Some unfortunate and - let’s be honest - unacceptable comments shouldn’t obscure an enormous legacy. Terrible news. One of the greats. Had much more skill than met the eye but it was his physical strength that stood out.Saw him play hundreds of times. So sad but a great life to be celebrated. Terribly sad news that. So sad to hear those of those players from a golden age that is still talked about as though it was yesterday passing away. He looked an absolute warrior. It must have been an honour for those who saw him live. What a man. What a Red. One of my first, all out hero’s of the game. Never forget you or your heroic service to the club ! 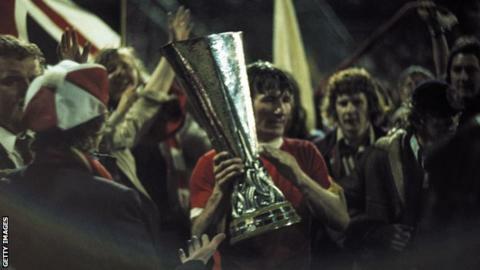 Tommy and the squad of 71 are my earliest Liverpool memory. So sorry to hear the news about our hero, Tommy. A very hard, but fair man, who was a credit to his family, the club and the city. God bless and R.I.P.Tom.